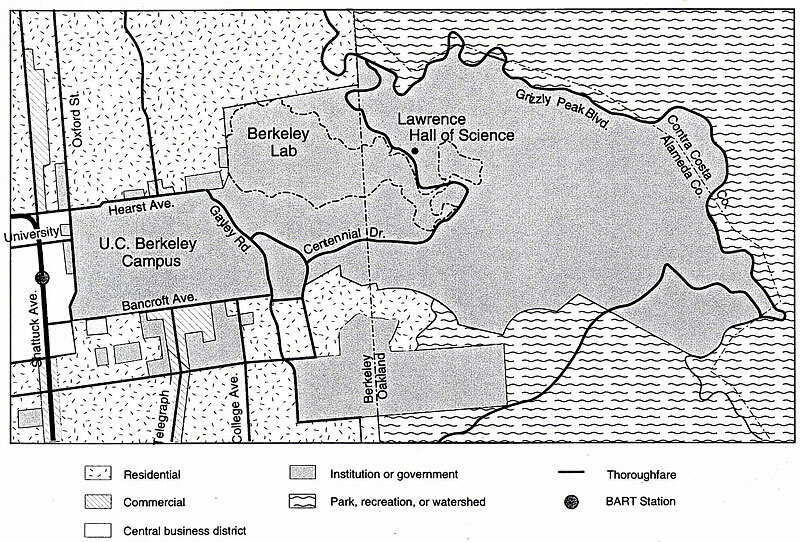 Location of LBNL in relation to UC Berkeley. 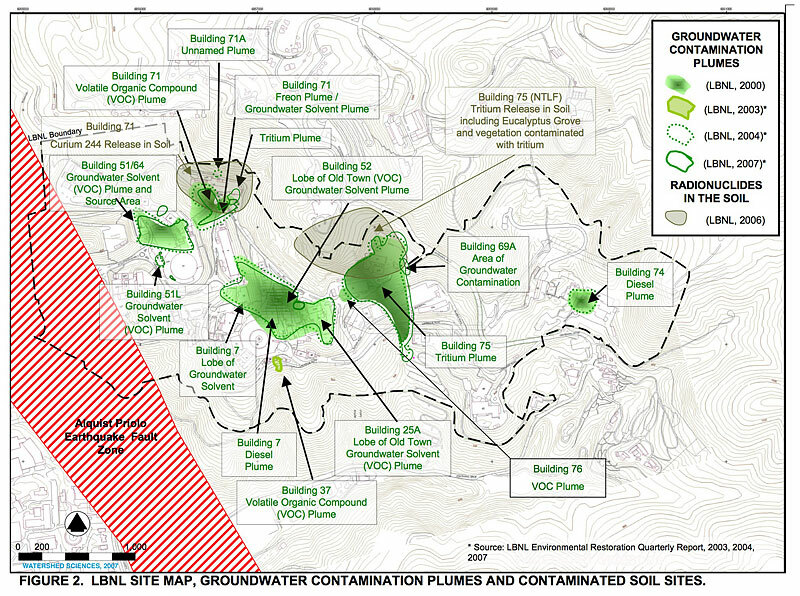 LBNL Site Map, Groundwater contamination plumes and contaminated soil sites. 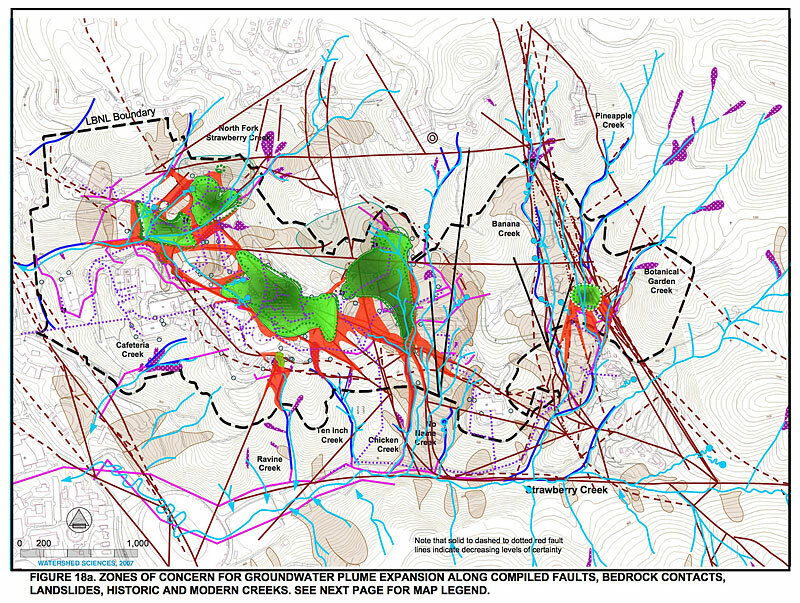 Zones of concern for groundwater plume expansion along compiled faults, bedrock contacts, landslides, historic and modern creeks. 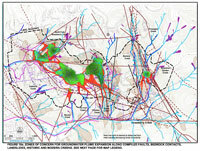 See report pg. 46 for legend. 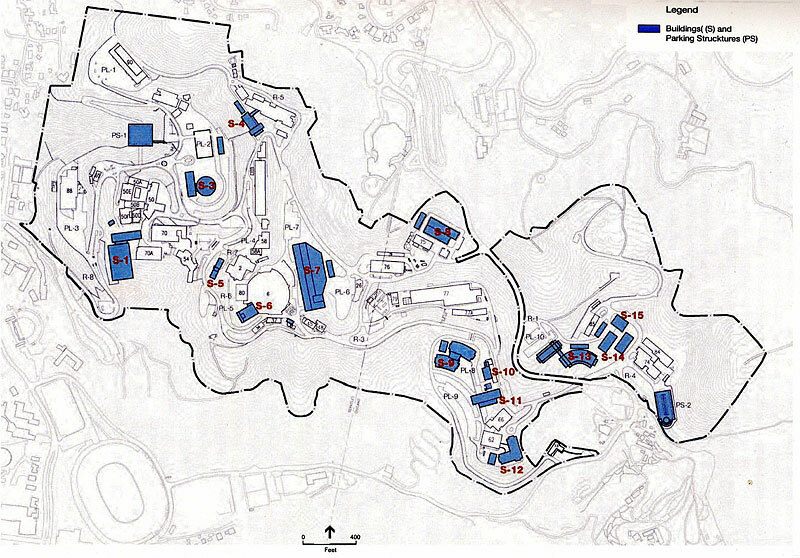 Future building sites at LBNL according to long range development plan.